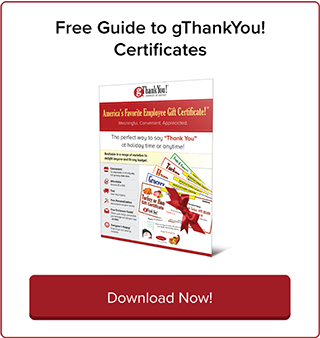 How do gThankYou Ice Cream Gift Certificates work? How much ice cream can be purchased with gThankYou Ice Cream Gift Certificates? Click for a 1-page Overview of gThankYou Ice Cream Gift Certificates. What items can I buy with gThankYou Ice Cream Gift Certificates? Are there THINGS I CANNOT BUY with gThankYou Ice Cream Gift Certificates? Can the Ice Cream Gift Certificates be imprinted with the name of my Company or another giver? Can you personalize gThankYou Ice Cream Gift Certificates with names of Recipients? What dollar value Ice Cream Gift Certificates should I purchase? What if the Ice Cream Certificate recipient wants items that cost more than the amount of the Gift Certificate(s) they have? In addition to the price of the Ice Cream Gift Certificates are there any additional charges? Is there a minimum number of Ice Cream Gift Certficates I can buy? How do I pay for the Ice Cream Gift Certificates? What if I want to receive the Ice Cream Gift Certificates tomorrow? How do you send gThankYou Ice Cream Gift Certificates to me? Do you send Ice Cream Gift Certificates worldwide? What do gThankYou Ice Cream Gift Certificates look like? 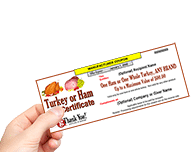 gThankYou Ice Cream Gift Certificates work just the same as our famous Turkey Gift Certificates, Ham Gift Certificates and Grocery Gift Certificates. First, purchase as many Ice Cream Gift Certificates as you want. They are available in amounts from $5 up to $30. We send them immediately to you. Overnight shipping is available. Next, distribute the Ice Cream Gift Certificates to employees, customers and friends. Payday is an easy time to do this. Recipients redeem the Certificates you gave them at any grocery store they choose at any time they choose, for any ice cream products (or frozen novelties or similar frozen treat). The grocery store handles the Gift Certficates the same way it handles any other cents-off coupon. It's that simple. Any ice cream products, frozen novelites or similar frozen desserts can be purchased with gThankYou Ice Cream Gift Certificates. This includes non-dairy frozen desserts in any size container. Yes. You can only purchase ice cream, frozen novelty and similar frozen treats. Additional prohibited items include alcoholic beverages, tobacco products, prescription drugs or other non-food items. Can the Ice Cream Gift Certificates say they're from me or my Company? Yes. When you place your order, there will be a space to submit the name of the "Certificate Giver". If you leave the “From” space blank, we'll leave it blank on the Certificates. 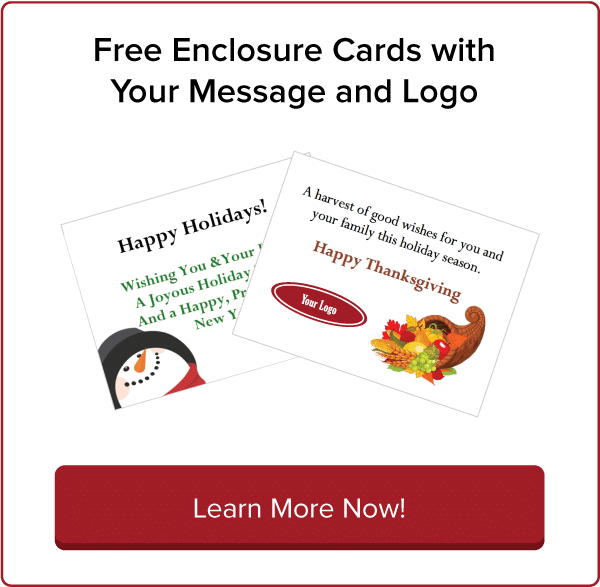 If you would like gThankYou to imprint the Gift Certficates with employee names, you may enter up to 10 names in our Shopping Cart. That's up to you. The greater the dollar value of the Certificates you purchase, the more ice cream, frozen novelties or other frozen treats the Certficate Recipients receive. What if the Ice Cream Gift Certificates recipient wants items that cost more than the amount of the Gift Certificate(s) they have? Is there a minimum number of Ice Cream Gift Certificates I can buy? What if I want to receive the Ice Cream Gift Certificates by tomorrow?